Retaining walls are integrated into landscaping. They can be visually pleasing to the design of the home and landscape as well as be functional. Retaining walls are set in place to hold back soil and water, in other words, they keep an area from eroding away. Retaining walls are built to last, but over the years, they can fall into disrepair. How to repair a retaining wall will depend on several factors. 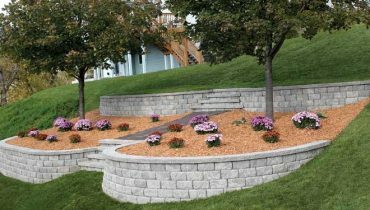 Retaining wall repair can be anything from a simple fix to a complete overhaul of the wall. Retaining wall repair is going to vary depending on the type of wall that is in place, the location and the materials used. Retaining walls must support not just the weight of the wall itself, but also the force of the soil and water pushing it. 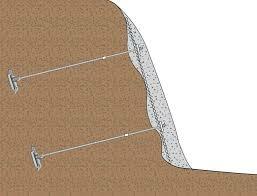 The most common way to fix a retaining wall is with tieback anchors. Depending on the type of wall, the process of retaining wall repair will differ. These walls are generally no taller than four or five feet tall. They are repaired by drilling or coring a hold through the wall and then attaching a tieback anchor. The anchors are placed every four to six feet to stabilize and keep the wall from further falling. These walls are taller than five feet. Because these walls are so tall special tiebacks are required. The wall is drilled or cored and the tieback anchor is attached. The tieback must then be connected to vertical or horizontal walers. The walers are usually steel and are used to extend the holding capacity of the tieback anchor. The tiebacks are placed every four to six feet along the wall and at various heights. 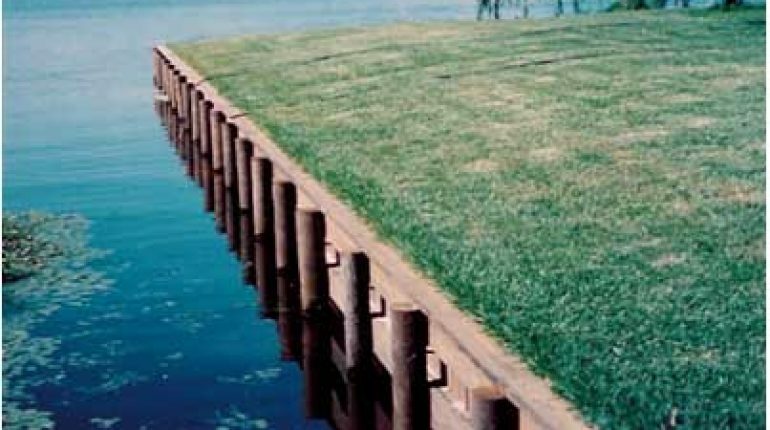 A wooden retaining wall can be anchored if the wood used is still in good condition. If the walls have not deteriorated, then there can be drilling for the tieback anchors. The height of the wall will determine the placement of the anchors and whether or not walers will be required. Retaining walls can also be repaired by using deadman anchors. They are not the most aesthetically pleasing to the eye, but they are fully efficient when the wall is under great strain and tieback anchors are not possible. When using deadman anchors, the placement is usually every three to four feet apart. A trench is dug out at the base of the wall, usually two feet wide and four to five feet long. The trench is then formed for the concrete. The deadman is generally in a wedge shape above ground. If the retaining wall is not salvageable, then the wall will need to be completely torn out and then replaced. Generally, retaining walls that need to be rebuilt have been neglected and not maintained. These walls could have been repaired if they had been maintained and at the first sign of disrepair, were fixed.